Malignant pleural mesothelioma (MPM) is a rare cancer with poor prognosis. As there is little information on the lived experience of MPM, our aim was to document the experience of MPM patients and their caregivers. Surveys for MPM patients and caregivers were developed from previous interviews with patients, caregivers, and health professionals, about treatments and decision-making. Participants were recruited from two hospitals, government compensation body, and support groups. Survey responses were received from 78 MPM patients and 106 caregivers from January to September 2014. Patients: 85% male, median age 69 years, median time since diagnosis 15 months. Caregivers: median age 68, 91% female, 90% spouse of MPM patient, 95% bereaved. Most participants felt informed about treatment options but only 69% thought all treatment options were discussed. Chemotherapy was discussed most frequently (92–95%); ~80% had sufficient information for decision-making. Decision regarding chemotherapy was made by patient considering doctor’s opinion (24%), doctor and patient equally (18%), and doctor (17%). 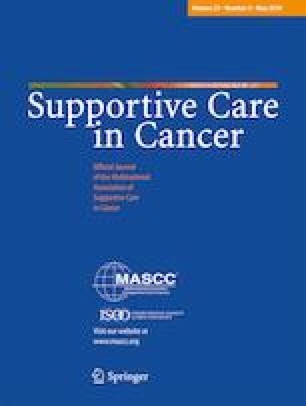 Participants ‘agreed’/‘strongly agreed’ that they made the right decision about chemotherapy (patients 81%, caregivers 60%), but 5% and 16%, respectively, regretted the decision. Most participants received ‘sufficient’ support (71%). A quarter reported seeing cancer nurse specialists. Palliative care referral: 31% patients, 85% caregivers. Caregivers would have liked to talk to someone by themselves (41%), more time with doctors (30%), psychological support (29%), and clearer information (31%). Bereaved caregivers requested grief counselling (39%) and post-death consultation with specialists (23–25%). Satisfaction with treatment was high, but participants identified need for improved communication and quality information, discussion about all treatments, end-of-life assistance, and caregiver support after the patient’s death. The online version of this article ( https://doi.org/10.1007/s00520-019-04760-x) contains supplementary material, which is available to authorized users. We would like to acknowledge the assistance provided by the following organisations with recruitment to the study: icare Dust Diseases Care, Asbestos Diseases Foundation of Australia, Asbestos Related Disease Support Society Qld Inc., Asbestosis and Mesothelioma Support Group, Gippsland Asbestos Related Diseases Support Inc., Lung Cancer Network Australia, Dusted Community Project Team from Southern Cross University, Asbestoswise, The Asbestos Diseases Society of South Australia, Turner Freeman Lawyers, Slater & Gordon Lawyers, Bernie Banton Foundation, and Ms. Jocelyn McLean (ADRI). We are grateful to the people who provided feedback on our survey questions. We would like to thank Dr. Cindy Tan for her assistance with analysis of the Decision Regret Scale. The study which is the subject of this manuscript was funded by a grant from the Dust Diseases Board NSW (now known as icare Dust Diseases Care). Drs Vardy, Dhillon, and Kao report grants from icare Dust Diseases Care for the conduct of the study which is the basis of the submitted work. Dr. Kao reports personal fees to his institution from MSD, Roche, AstraZeneca, Pfizer, and BMS, outside the submitted work. Dr. Dhillon reports honoraria paid to her institution from MSD outside the submitted work.